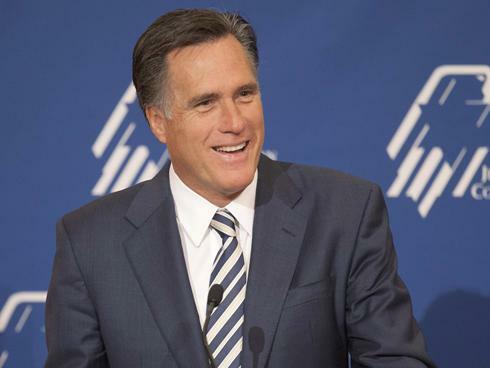 Mitt Romney’s campaign increased its fundraising lead over Barack Obama in June, official numbers released on Monday show. Mitt Romney and the Republicans raised $106 million, $35 million more than Barack Obama and the Democrats, who raised $71 million. Both camps raised more than in May, when the Romney bid took in $77 million and the Obama camp $60 million. The totals exclude millions raised by independent groups that support each candidate. The Obama campaign released the June numbers in an email to donors. “If we lose this election, it will be because we didn’t close the gap enough when we had the chance,” the email says in a call for donations. Barack Obama’s campaign has been regularly warning supporters that he is in danger of becoming the first sitting president in history to be outspent by his opponent. Mitt Romney and the Republicans have an estimated $160 million cash in the bank to spend on the campaign, they confirmed on Monday. Despite its fundraising bonanza, correspondents say the Romney campaign has struggled recently to gain the initiative. He has faced renewed scrutiny over his financial affairs in recent days, and several polls show the president retains a lead in some key swing states. However, a poor jobs report on Friday was seen as a reminder to Barack Obama that the US economy remains weak just four months before the 6 November election.